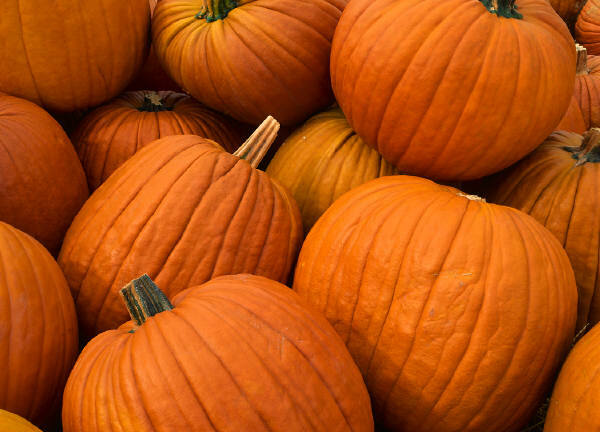 The scene is set in a very traditional small-town values community, filled with “typical” Americans working and living side by side, as one does. A few of the townspeople are retired military and a couple have had some military training from the earlier WWII, but overall, the town is very run-of-the-mill in its demographics. 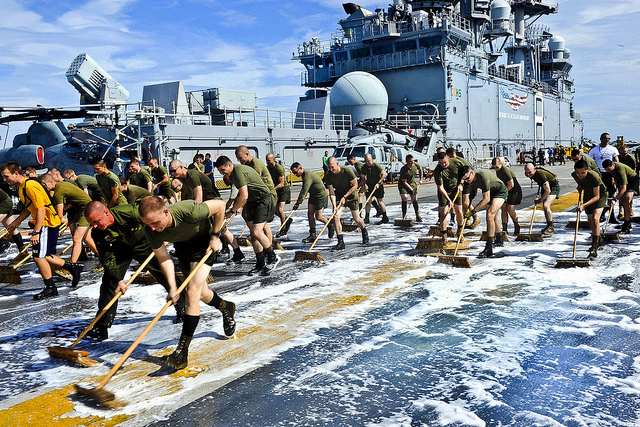 Husbands work, wives stay at home, and kids are white and well-behaved. Residents (and the rest of America) are concerned about nuclear bombs, but it’s more of a concern for other cities and states who have more important resources to worry about. Fort Repose wouldn’t get it, would it? As you can probably surmise, Fort Repose does get impacted by a nearby explosion and a lot of their community dies, either on that day (now called The Day) or from radiation sickness and other ailments linked to the fallout. Just a small handful of people are left alive, and after their initial shock about the bomb, they need to work on getting food, water, power, housing… And health. Who will die from the after-effects? There are so many unknowns for this community, and it’s pretty Lord of the Flies after a few days. This was a pretty interesting read, especially through a lit-crit lens, so I was glad I found it in the thrift shop the other day. I started this read thinking that I hadn’t read it before, but in actuality, I’ve now read it twice, once in school about thirty years ago (but I have no hope of ever remembering that), and once a few years ago when I blogged about it on JOMP. However, despite my gappy memory, I still enjoyed this read this time around, picking up on different aspects as I went through it again. Hardy is not typically thought of as a “happy” read, but Tess is not too tragic – at least in my opinion. It’s not happy, that’s true – but I think if you view the narrative arc through the lens of a Victorian reader (especially a female middle class Victorian reader), Tess is certainly one of the more flawed characters, having a checkered less-than-spotless past. The term cliffhanger is considered to have originated with Thomas Hardy’s serial novel A Pair of Blue Eyes in 1873. In the novel, Hardy chose to leave one of his protagonists, Knight, literally hanging off a cliff staring into the stony eyes of a trilobite embedded in the rock that has been dead for millions of years. This became the archetypal — and literal — cliff-hanger of Victorian prose. So, I finally picked up “Man’s Search for Meaning: An Introduction to Logotherapy,” Viktor Frankl’s mesmerizing autobiography about his time and thoughts when he was captured as a Jewish prisoner in Auschwitz, one of the most notorious concentration camps in Germany during WWII. I’d been meaning to get to this for a very long time, but I felt that I needed to psych myself up to read it as I know it was not going to be an easy time. 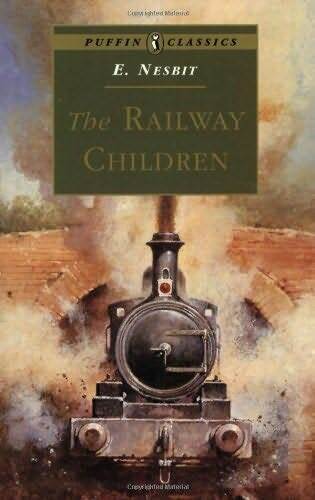 Now that I’ve finished it and can reflect back on the experience, I see that it was a tough read in both the subject matter and also the philosophical discussion that is in the second half of the book, but it was hard mainly because it was true – that people had treated each other in this manner. What. The…. ? Viktor Frankl (1905-1997) was a psychiatrist and neurologist living in Vienna during the 1930’s when Hitler came to power and instigated the horrendous concentration camps that tortured and killed millions of Jewish people (and others) at the time. It’s a time that I find incredibly hard to understand as it’s so completely removed from anything that I would choose to do (I hope), that there seems so little overlap between the life I choose to lead and the lives of the people who ran these camps. It’s easy to judge over time and distance, but I hope to god that I would have tried to stop this whole genocide if I’d had the chance, but who’s to know? The human condition is a strange one at times. Back to the book: it’s basically a book in two parts, the first part detailing the three years of his life (and those of others) when Dr. Frankl was picked up and sent to Auschwitz, and then the second half, which is more of a philosophical discussion of how he made sense of the whole ordeal and came up with his school of treatment called logotherapy. It’s an intense read, and if you’re feeling remotely sorry for yourself when you start to read this, I can almost guarantee that you will have your perspective shifted by the time you finish it. How could one compare the minor trials of life today with the lives of these prisoners who had *nothing*? Literally nothing. So, Frankl discusses his ideas on the meaning of life for himself and others, and concludes that life has meaning to be found in every moment of living and that it never ceases to have meaning, even when one is suffering profoundly. This is the concept of “tragic optimism” — that no matter how terrible life can be, it only ceases to have meaning when there is no hope for change in the future. Once the hope is gone, then life is over – that love is the ultimate and highest goal that (hu)man can aspire to. To me, the book seems to be about the importance of deriving meaning from suffering – that one suffers only so that you should learn from it to be a better person and if one loses sight of that goal, then one is doomed. If one feels a sense of control over one’s environment, then you will fare better than those who are physically strong but do not have that sense, and the existential angst that people may feel at some point in their lives is due to the lack of personal agency they may feel in their lives. I’m not sure. It’s hard to write about this clearly without babbling and sinking into a morass of blather, but it seems to me that perhaps the key to a good life is to serve others. If one looks outside oneself to help someone else, therein lies the meaning of life. I urge you to read this for yourself and to draw your own conclusions. My vague personal ones are above, but I think this book is too important for you to try and draw your conclusions from my version of things. It’s a hard book, yes, but it’s an extremely important book and frequently in the top ten lists of influential books for people. It’s an astonishing read. Don’t miss it. This novella is the enjoyable sequel to Morley’s first novella, Parnassus on Wheels and this one was just as fun and bibliophilic (as the book terms it) as the previous read. Written two years after the publication of the previous installment, Morley here further develops the storyline of the couple who go off to be traveling booksellers across the countryside. At the starting point of “The Haunted Bookshop,” the couple (now married) are settled and running a fairly successful (but still modest) second-hand bookshop in Brooklyn, but even though the story has moved along, what remains the same is the author’s tender heart for books, bookselling, and all things to do with words. For a book nerd, this read is gorgeous. The bookshop, now called The Haunted Bookshop (see quotation above for details), is run by Roger Mifflin and his now-wife Helen, and they live a quiet bookish life. Located on Gissing Street (ref: George) and near Clemens Place (ref: Samuel) and Shakespeare Street (ref: you know who), the shop is close to other neighborhood-based businesses including a pharmacy, a few modest boarding houses, and a small café of sorts in a neighborhood of working class people (some of whom are immigrants). Being written so close to the end of World War One (which officially ended in 1918), the obvious baddie is, of course, Germany, and so when puzzling events happen, the German pharmacist is the number one suspect. It’s the set up of quiet and unassuming book people vs. a spy ring hiding in plain sight. But who can stop it, and what does it all mean? As the story continues, it turns out to have three main threads: the love of books and reading, the love interest of the young couple, and then the potential cloak-and-dagger spy ring (so there’s quite a bit going on). Add to that an impressive array of vocabulary and literary and classical references, and this book is not for sissies. At first, I was taking notes of all the new words and refs that I came across, but there were so many that, in the end, I realized that if I was ever going to finish the read in a timely manner (and also thoroughly immerse myself in the plot) that the note-taking would have to calm down. I’m pretty sure that you can follow the plot without knowing all the meanings, but I think you’d probably miss quite a few of the clever references. Still, you’d have a good idea of what was going on, action-wise, so it depends on how nerdy you’d like to be, really. Morley was a writer and journalist who had a maths professor for a father and a literary and musically talented person for his mother. It’s obvious that he grew up in an educated and literate household, and he was awarded a Rhodes scholarship to Oxford where he studied from three years. He moved in literary circles and, out of his enthusiasm for the novels and stories of Sherlock Holmes, co-founded the “Baker Street Irregulars”, an exclusive and rather prestigious club at the time. By the time that he died, Morley had written more than 100 books and even had a movie made out of one of his novels (Kitty Foyle ) which I’m interested in tracking down. So, not only does his writing reflect his life, but the book is also quite autobiographical in that his real-life wife was also called Helen, they lived in several of the cities mentioned in the plot, and he really did hang out with a social group that used to spend time at another bookshop in Greenwich Village. This bookshop had the tradition of having all its authors, publishers et al. sign the door as they entered and/or left the premises and in fact, when it closed, the signed door was shipped and sent to the Harry Ransom Center (UT) for safekeeping. “A door to the past” indeed with its more than 240 signatures on it. Just wanted to do a catch-up post so that I could mention some things that I’ve been reading. These are still good reads, but just didn’t merit a huge detailed review of the experience. As I mentioned, they’re still good (for the most part). Slightly strange slight novel about a young couple who live in a house where a neighborhood cat drops by with some regularity. As the (glacial) pace of the narrative continues, the couple become fond of their guest cat, but the whole thing is written with such surgical distance that it was rather difficult for me to become glued to the story. I’m not sure if it was me or the book, but this was a toughie to enjoy. A wordless graphic novel that has a narrative that’s very open to interpretation. The arc follows a young person who lives in a rather stark black and white world (illustrations are great, btw) where the only color comes from a few blue lights that stand out in the darkness. And then one day, he finds a large yellow glowing leaf and the remainder of the narrative is focused on trying to find out more about the leaf. It’s a fairly simple message and yet so open to interpretation that the meaning could be different from one reader to the next. I’m on the edge about books with a message this diluted: does that narrative have enough meaning in the end or is the author/artist expecting the reader to do much (too much?) of the heavy lifting? It’s an interesting thought to pursue. I’m probably making much more of it than it’s intended, but it would be interesting to read this and then hear how others from very different backgrounds (socio-economic, cultural, heritage, age) may interpret it. Is it a message similar to The Lorax (Seuss) or is it something else? And I really enjoyed Oliver Twist, but didn’t have enough time in the end to get a proper post about it. However, don’t let that deter you. It’s a brick of a book (go me!) and is worth every page. I just adore Dickens’ writing and sense of humor. 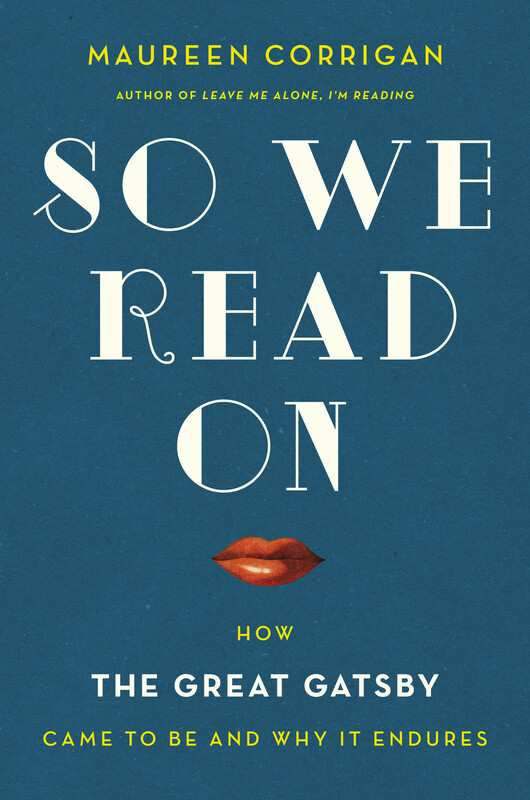 So We Read On: How the Great Gatsby Came to Be and Endures – Maureen Corrigan (2015). This was such a good nerdy lit crit read especially if you’re a fan of The Great Gatsby. (Actually, as I think about it, I would think that those people would be the only readers who would choose to read such a book…) I am such a person (see the gushing review here) and I just loved this read and gobbled it down in one weekend. I took rather sparse notes during my read though, so you might just have to take my word for it being so good. But trust me – it was. I also learned so much about Fitzgerald and his rather sad life, about how the GG was received critically (mostly on the US shore), and then about how the GG slowly resuscitated itself after Fitzgerald died mostly through the efforts of his friends and then continuing on over the years on its own merits. 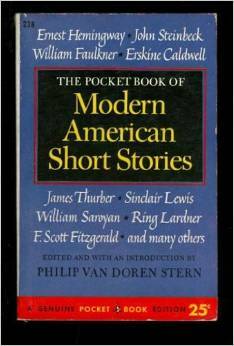 Just how did it get on to so many high school and college reading lists? Finally, an ILL arrived – a graphic novel this time, from Lucy Knisley (she who wrote Relish which was a great read). 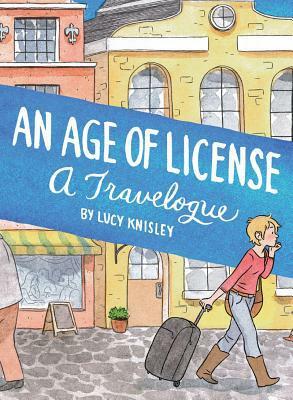 This one, The Age of License, was also a GN but about the author’s coming-of-age holiday when she traveled through several European countries trying to get over heart-ache and fulfill her book tour travels… Loved it. And then I did spend quite some time trudging through the first half of Jack London’s The Sea Wolf, but then I couldn’t take the over-writing and endless descriptions of the sea storms, that I had to put it down. Now noodling which other classic to pick up to fill in that year (1904) in the Century of Books project I’ve got going on right now. Any ideas? Fiction/Non-Fiction: 4 F and 4 NF. Speaking of the TBR pile, I had started a low-key book buying ban a few weeks ago, but I’ve fallen way off that track lately. I have got some new corkers though – expect a post of my new titles to come in the near future. “I shall read all night and day. I’m a book-drunkard, sad to say.” – L. M. Montgomery.